Meet me at fraboom and send a message to the online teacher, "Even though it's summer vacation, I'm online with my tech teacher Mr. Horne!" 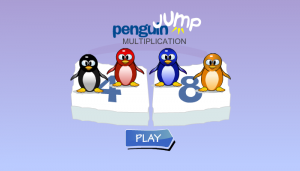 Join Mr. Horne's Private Game on June 27 from 9:00pm-9:30pm at Grand Prix Multiplication. Password will be "race". The Hutchings Computer Lab Podcast has an ALL NEW site! Visit www.hutchingspodcast.com, or click the "Student Podcast" button on the top right of this page to access our brand new site! Our new site contains every student podcast, our first ever student audio book, featured videos, and more. Listen, download, & watch some of our great students at work! Join Mr. Horne and other Hutchings 4th graders online tonight! Wednesday, June 22 from 9:00pm-9:30pm - Find Me at "Dress Down"! Rack up as many sumdog points as you can before the June competition closes on June 3th, at 11:30pm. Who will make it to the top of the leaderboard? Join Mr. Horne's Private Game on June 30th from 9:00pm-9:30pm at Division Derby. Password will be "derby". Wednesday, June 16 from 9:00pm-9:30pm - Find me at "Bunny Hop"! Tuesday, June 22 from 9:00pm-9:30pm - Find Me at "Dress Down"! PODCAST #3: 5th grade puppeteer & marionette maker JD joins us in the studio. Join Mr. Horne's Private Game on June 20th from 9:00pm-9:15pm at Division Derby. Password will be "horse". Join Mr. Horne's Private Game on June 20th from 9:15pm-9:30pm at Grand Prix Multiplication. Password will be "race." Audio Book #1: Listen to our first ever audio book, "Daisy", read by author & illustrator, 1st grader Lilly. Follow along with the book below. Podcast #2: Children's book author & illustrator, creator of the picture book "Daisy", 1st grader Lilly. Join Mr. Horne's Private Game on June 13th from 9:00pm-9:30pm at Division Derby. Password will be "horse". See Mr. Horne to reserve your copy of the 2011 4th Grade vs 5th Grade All Star Game. The first Hutchings Computer Lab Podcast is up for your enjoyment. 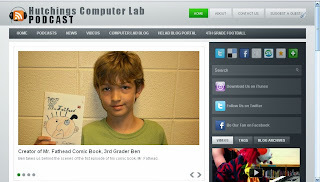 Podcast #1: Interview with 3rd grader Ben, creator of the Mr. Fathead comic book series. Below is a free preview (first 2 pages) of Mr. Fathead. See 3rd grader Ben to purchase your own full copy! More student podcast coming soon! Acadameic Skill Builders has some of the best math activities on the web!